Details:	7 elements of the boiler supporting structure with a total weight of 450 tonne, which included 4 corner pieces of 64 tonne each and 2 crown girder weighing 110 tonne each. 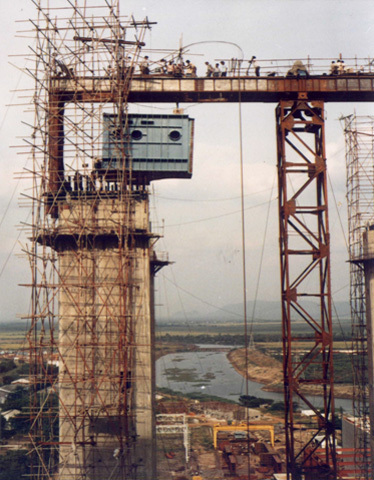 Challenge: The elements had to be lifted on site to a height of 67 meter on RCC pylons. 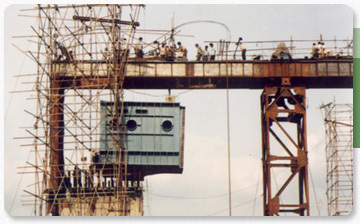 Solution:	The elements were erected with the help of special lifting jacks – SL-80 and 7 strands of 15 m diameter.